Windows Vista was released a little over two years ago and garnered a fairly negative response for hogging resources and driver incompatibility. 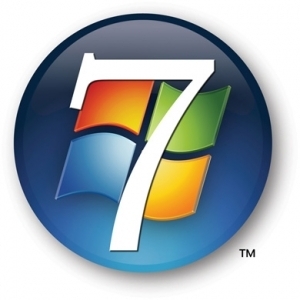 Windows 7 fixes the most agitating problems associated with its predecessor and takes a few steps forward, too, making it a great choice for anyone with a new PC to switch to. Whether you’re an XP holdout or a reluctant Vista user, it’s time to upgrade. The Palm Pre looks to knock the iPhone off its throne as the top smartphone with its smaller form factor and full QWERTY keyboard. 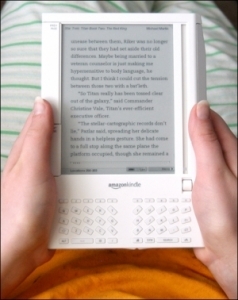 The Pre will appeal more to business users with its slide-out keyboard and features a fairly solid build quality. The Pre’s WebOS is slick and allows multiple applications to be open at the same time, setting it apart from the iPhone. The Sony Vaio P netbook is one of the sleekest laptops out there, but its looks are not enough to overcome its anemic performance and premium price. 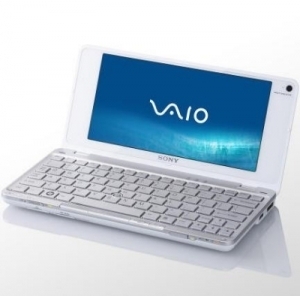 With a 2-minute startup time and an inability to perform basic tasks like play YouTube videos, it’s hard to recommend the Vaio P to anyone looking to do more than surf the Internet. The SanDisk Sansa SlotRadio player caters to people who prefer a more hands of approach to music. While we thought the build quality was sufficient the listening experience wasn’t. 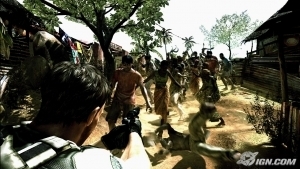 The player is well build and has a quality 1.5-inch LCD screen. Unfortunately the players build quality doesn’t make up for its poor listening experience and controls. The traditional looking BlackBerry Curve 8900 may be easy to overlook, but it offers a great set of features at a compact size. While some may be turned off by its lack of 3G support, there aren’t any other significant downsides to the 8900. 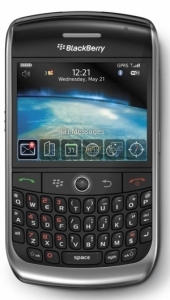 It features a sleek form factor, solid QWERTY keyboard, and offers excellent call quality. The Sony HDR-SR12 camcorder is more expensive then most camcorders, but it's one of the best we've seen. With features like 1080i HD video, 10-megapixel still pictures, a 120GB hard-drive that stores up to 15 hours of video, 12x optical zoom and more make the camera worth the price. Read Digital Trends' Sony HDR-SR12 Camcorder review for more information. The Pioneer Elite SC-07 Receiver is a Class D amp, which means it's smaller, more efficient and produces an accurate sound. What does this mean for you? When you are watching your Blu-ray movies, the movies will sound great! Plus, this receiver comes with 4 HDMI inputs, analog inputs that up-scale to HD, and 2 HDMI outputs! For more informatin, read Digital Trends' Pioneer Elite SC-07 review. The Gateway UC7807u Laptop makes a solid choice for people looking for a budget 13-inch laptop. It has some cool design touches like the black anodized aluminum trim and glossy finish on the lid, but the circular touch-pad, although surprisingly easy despite it's odd shape. Until recently, traffic information for your GPS required forking out extra money. The Garmin Nuvi 265WT GPS unit comes with free, lifetime traffic information at an affordable price. Read our Garmin Nuvi 265WT GPS review to find out why we gave it a Digital Trend Editor's Choice award! With unimpressive build quality, no QWERTY keyboard, and other below average features makes this flagship smartphone from Nokia leaving a lot to be desired. The Lenovo ThinkPad W700ds notebook is not for the faint at heart, or for people who want something light. This 11-pound laptop is the world's first laptop to sport dual-screens: a 17-inch main screen and a 10.6-inch secondary screen. The build quality is great, but other than that this computer is more novelty then functional. Gunnar Optiks eyeglasses are stylish looking eyewear designed to relieve eye strain from the effects of staring at a monitor all day. Results may vary for each user.